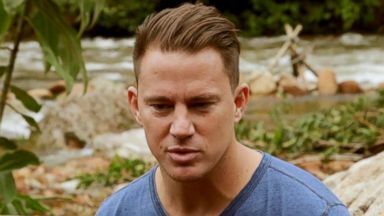 Channing Tatum said drinking Runa tea helped him keep his energy up while he wrote the film "Magic Mike." The actor became an investor in a tea company, which has a factory the Amazon rainforest, after drinking the company's tea while shooting his movie. Channing Tatum is co-writing "Magic Mike XXL" and is also expected to reprise his role. Lara Spencer explains what has people buzzing on the "GMA" Pop News Heat Index.